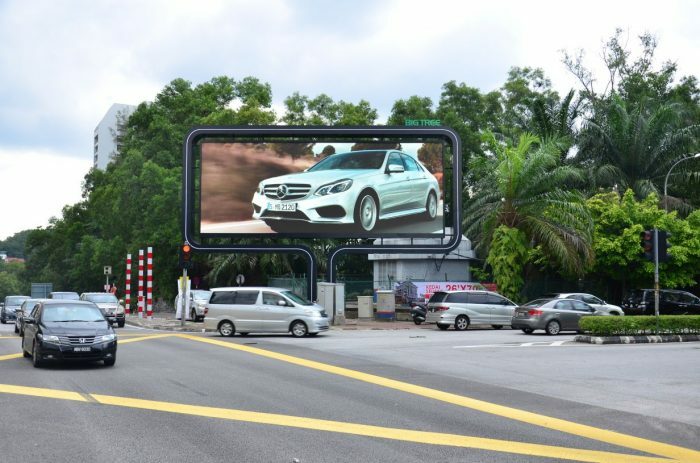 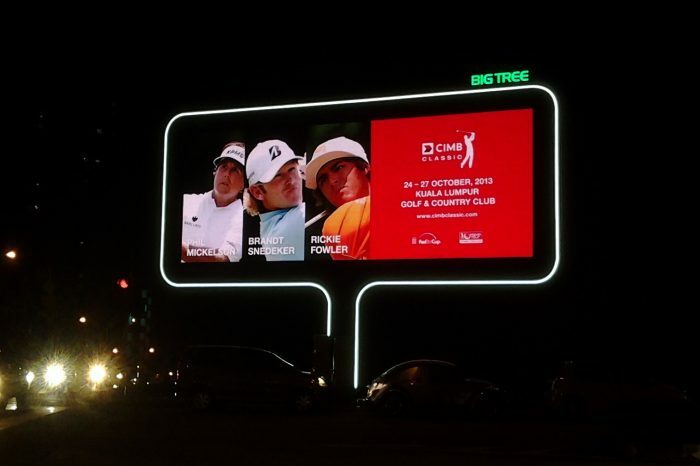 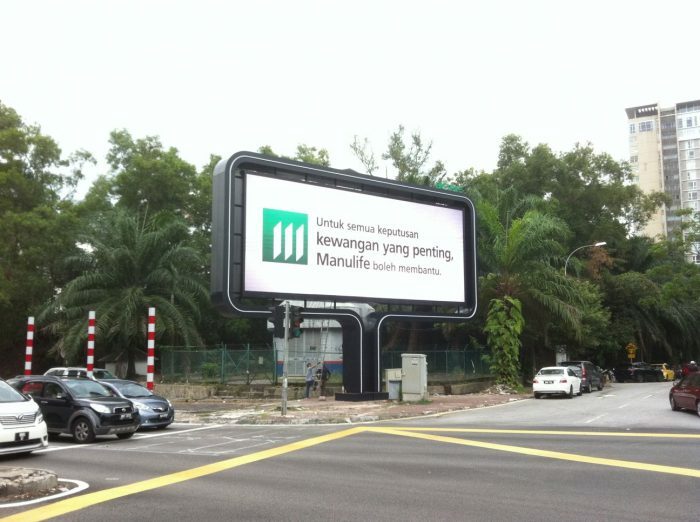 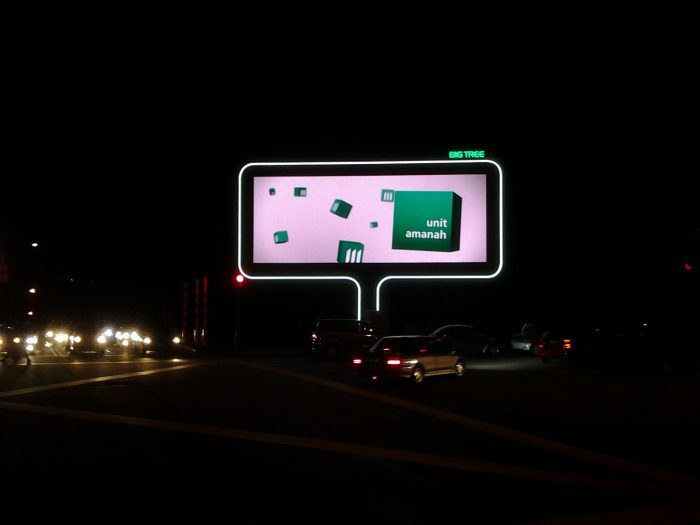 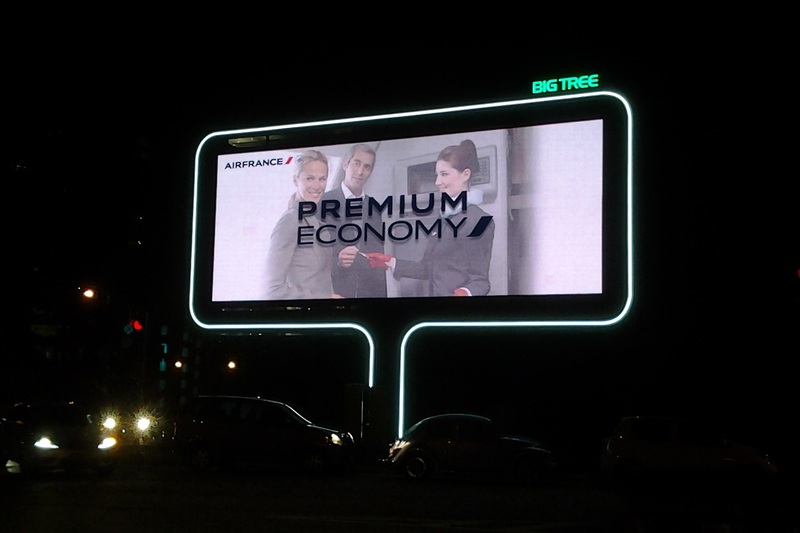 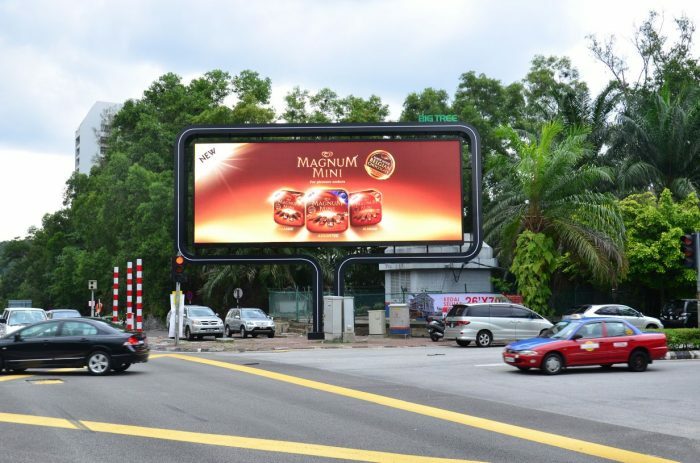 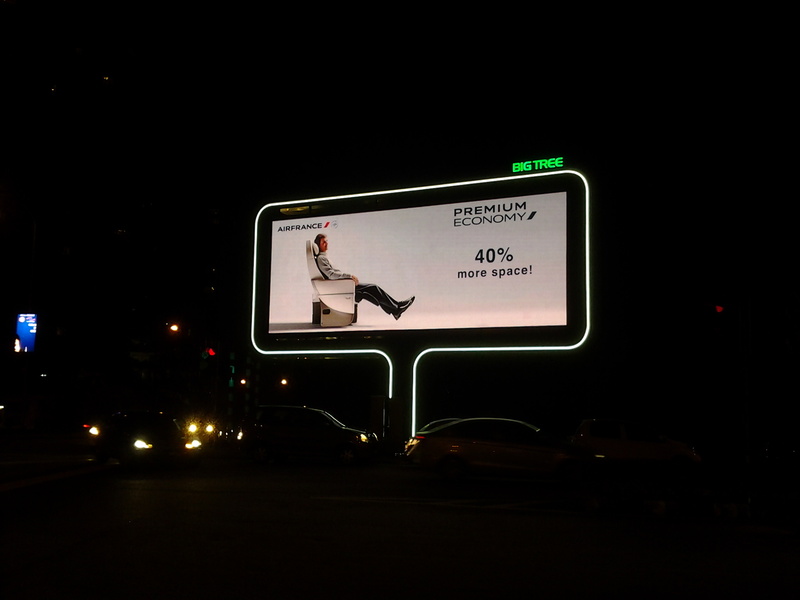 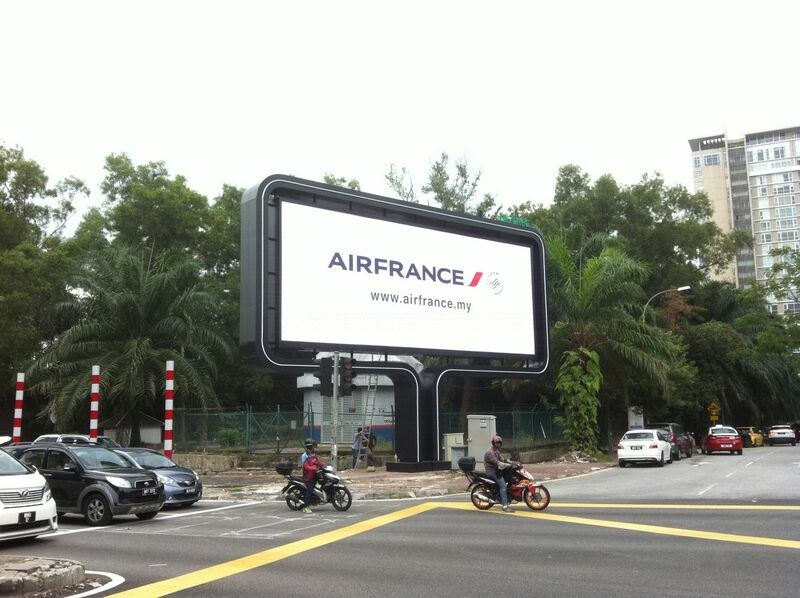 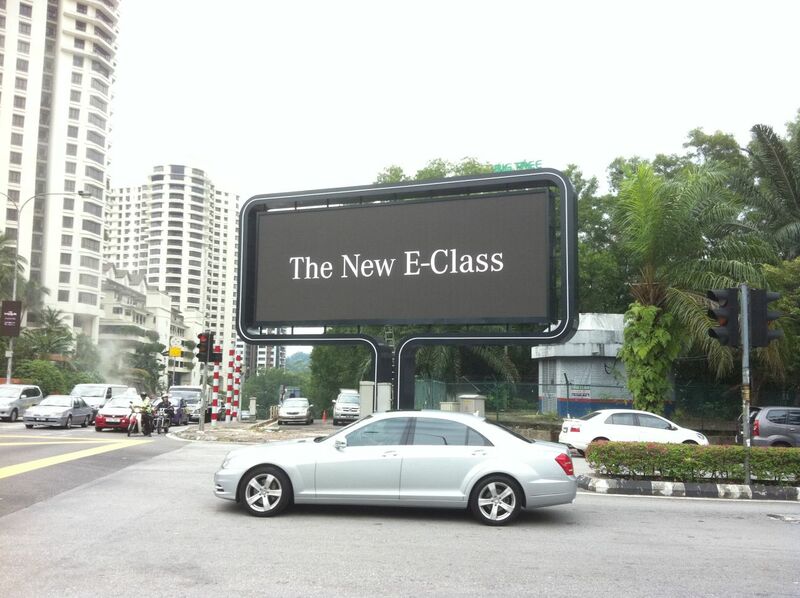 A wholly-owned subsidiary of Media Prima Bhd, outdoor media giant Big Tree Outdoor unveiled their latest digital billboard at prestigious location of Bangsar, Kuala Lumpur. 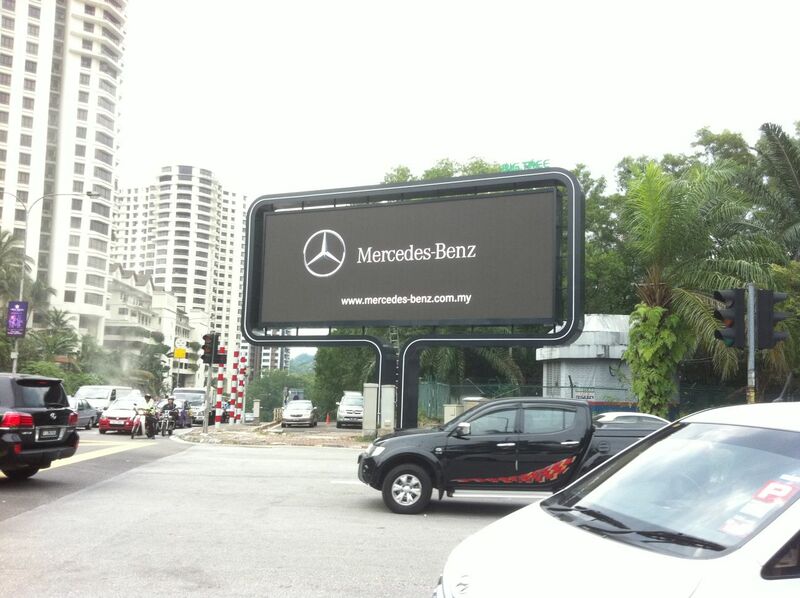 The site is located at the affluent and prestigious Bangsar area with approximately 2.1 million motorists per month. 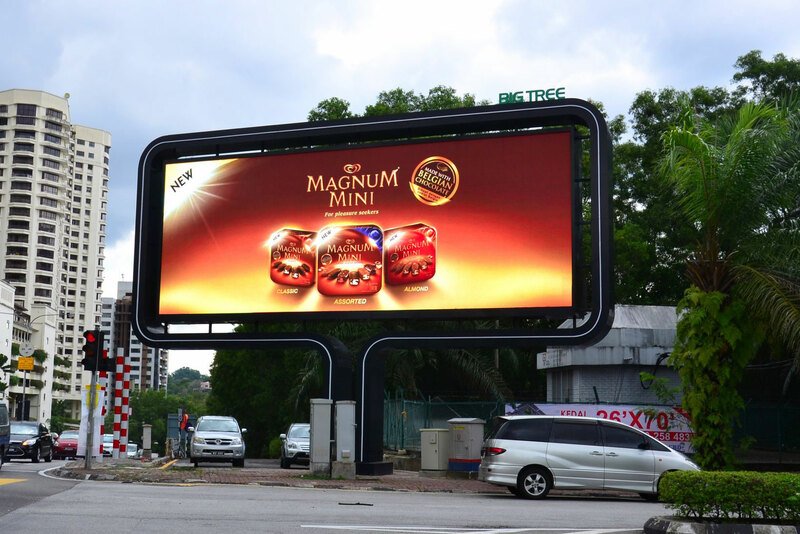 Distinctive and aesthetic in design, the end product was produced at the highest quality in resolution and clarity in assuring brand owners that they are associated with a top notch innovative media. 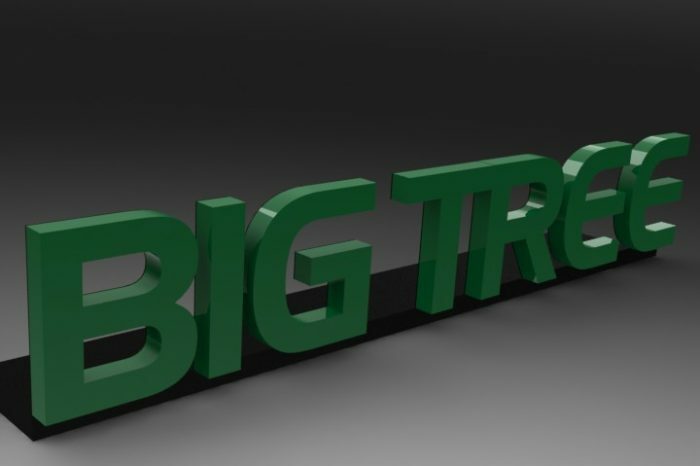 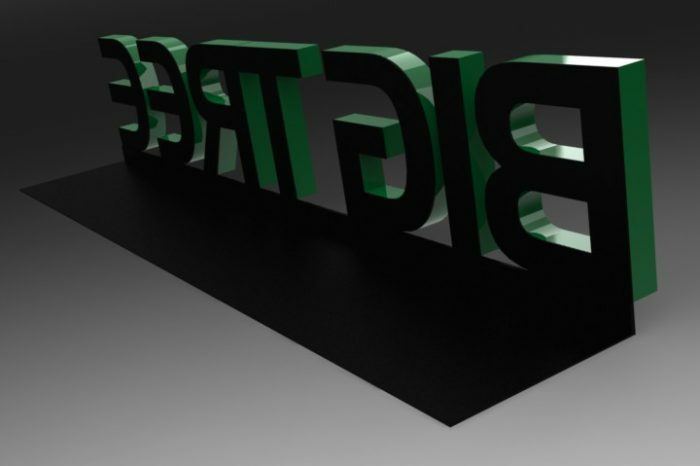 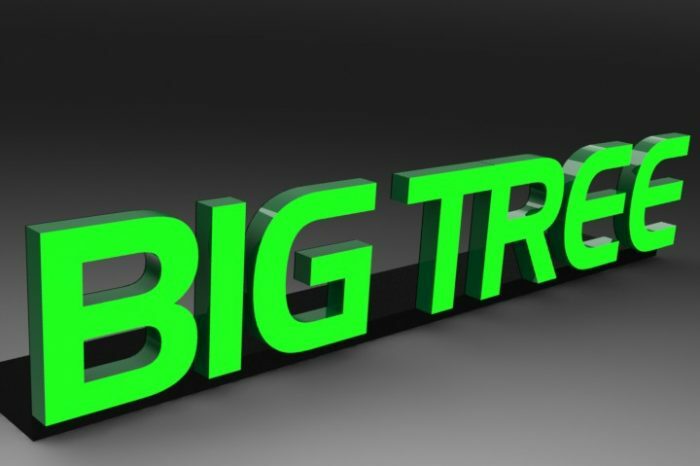 LEDtronics was chosen as the official LED digital display partner for Big Tree. 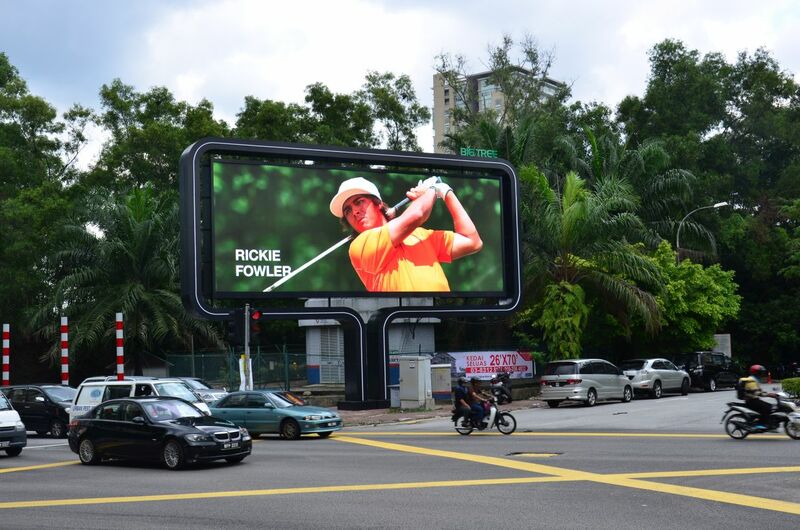 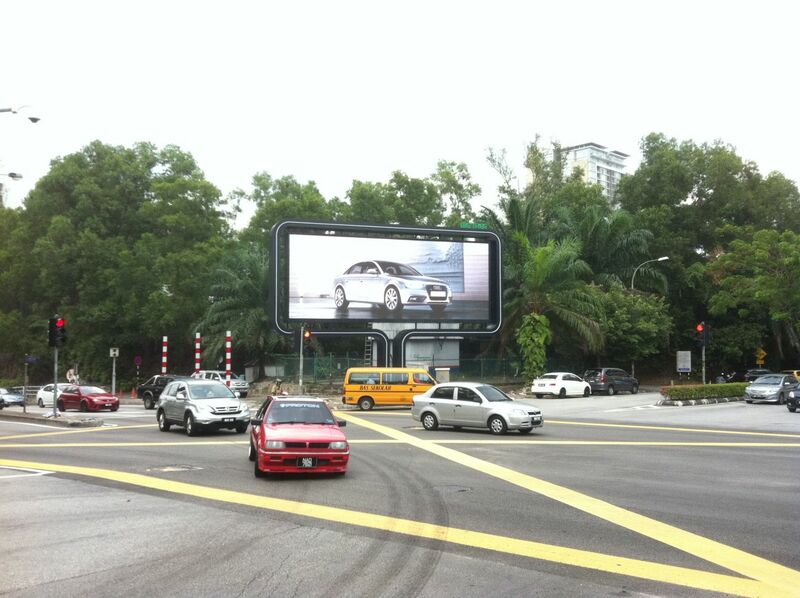 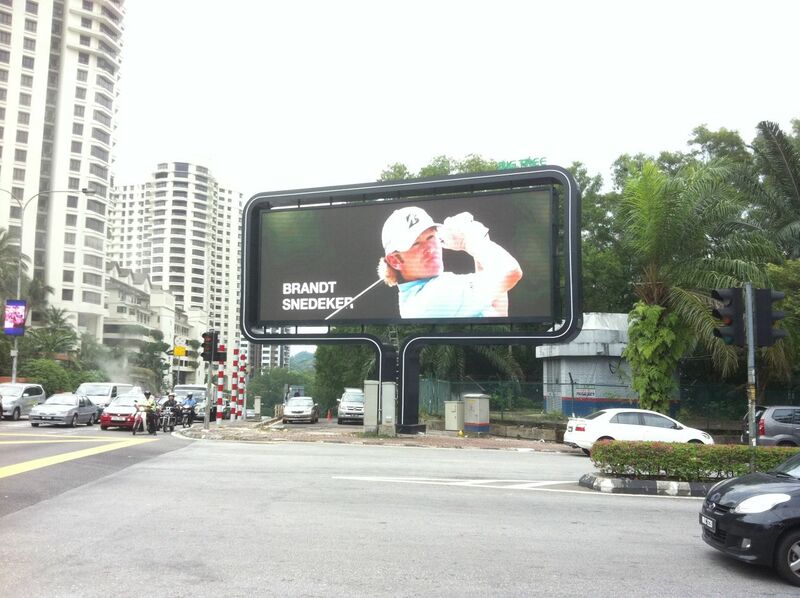 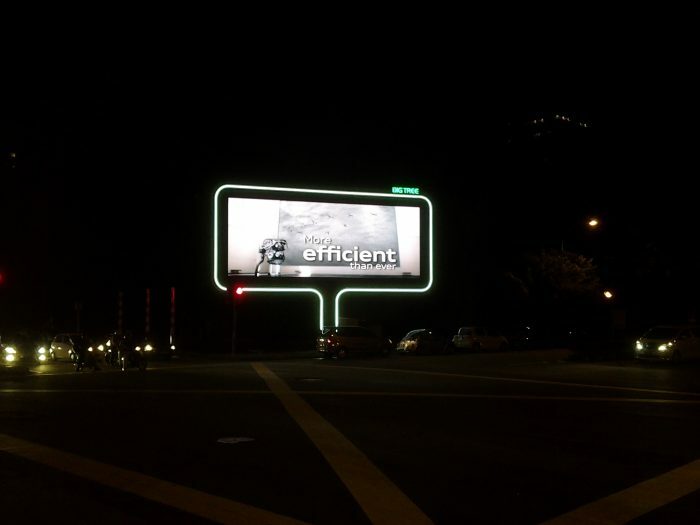 The spectacular LED digital billboard near Bangsar Shopping Centre comprised of total display area of 56.58 square meter, and the installation was successfully completed in September 2013. 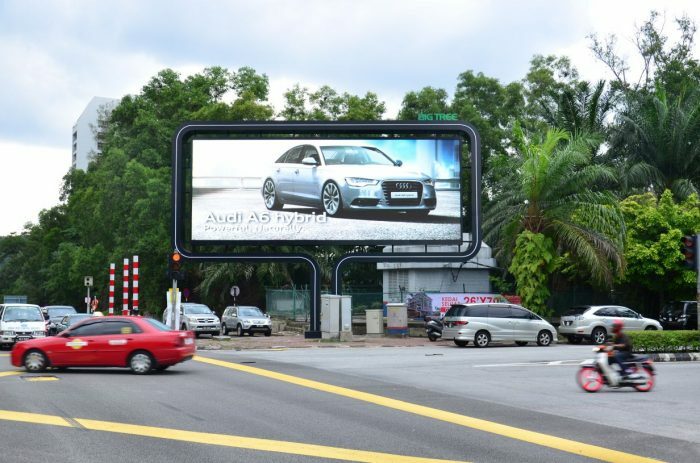 The display stands tall proudly for its unique architectural design, inspired by world-class standards in art and design. 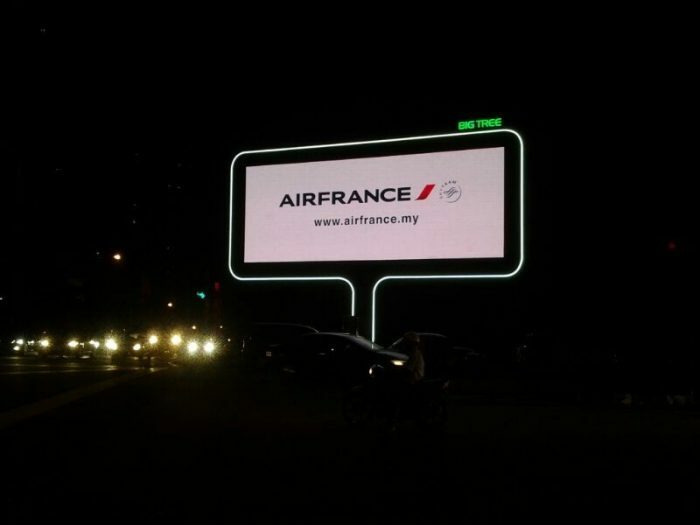 Furthermore, the display comes with white acrylic strip that lights up at night, delivering a spectacular display that’s first-of-its-kind in Malaysia. 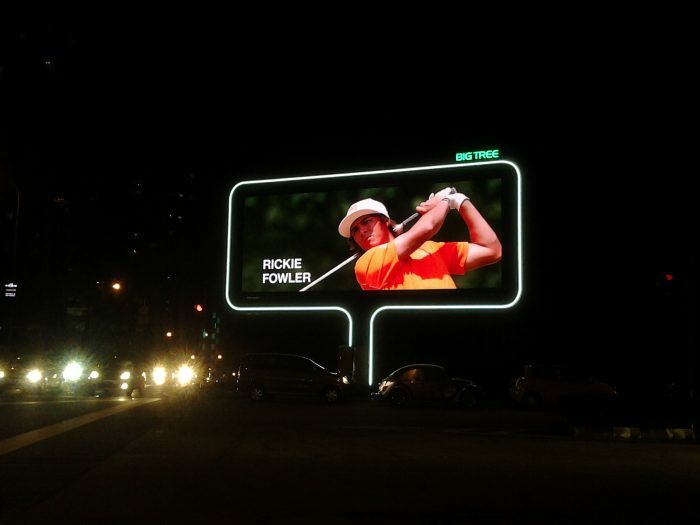 In revolutionizing the outdoor media landscape, we have helped Big Tree developed and built the state-of-the-art 15 feet x 40 feet digital dynamic screen.